Simply put, tail spend is one of Procurement's least favorite topics. More often than not, organizations let it fall through the cracks and devote their attention to obviously strategic spend. While tail spend's value will vary from organization to organization, many Procurement teams stand to gain quite a bit from taking a closer look. Want to turn this afterthought into a source of strategic value? 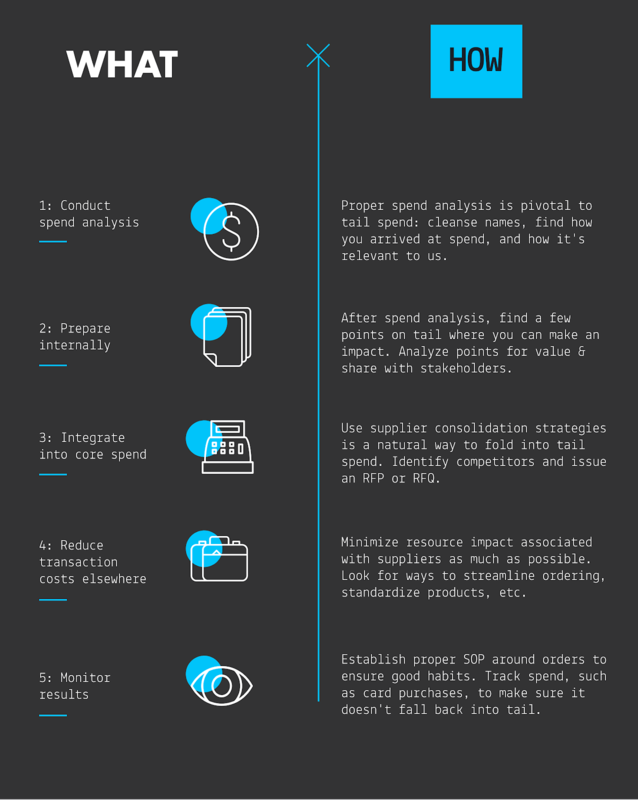 Check out these tips from Source One's spend analysis specialists.